Advice to Believers to shun Sectarian Bigotry. 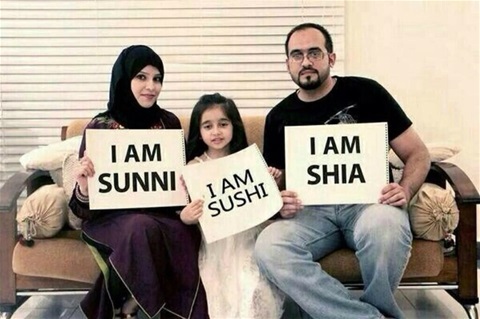 Sectarianism causes division. Division creates lack of empathy and hate. Hate generates extremism. Extremism often leads to bloodshed and terrorism! “Say, He has the power to send torment upon you, from above you and beneath your feet, and to confuse you with sects to make you taste each other’s oppressions. See how we illustrate our messages that you may understand” [6:65]. It is an undeniable fact that sectarian strife is a sign of God’s displeasure. Furthermore, the harsh reality of division among Muslims into various sects we witness today is predominantly a construct of history after the demise of the Prophet (peace be upon him) and thus cannot be attributed to the Prophet Muhammad (peace be upon him) or the Quran. As for those who have divided their religion and broken up into factions, have nothing to do with them [Prophet]. Their case rests with God: in time He will tell them about their deeds. [6:159].Moreover, these sects are an invention and later development after the “completed favour” of God (Quran 5:3). Sectarianism was the reason that divided the followers of the previous Prophets into denominations, and it was also prophesied to be for the followers of Prophet Muhammad (peace be upon him). Today all faith communities of the world are divided into different sects or denominations. But they are (perhaps) in the main ‘co-existing in harmony’ albeit many had to learn it the hard way. Hence, sects are a reality, but sectarianism (sectarian bigotry) is a menace. It is about time for Muslims, particularly the younger (future) generation to respectfully renounce and move forward from the bigotry and partisan attitudes of their revered ancestors, sectarian clergymen, preachers and politicians to attain inter-sect harmony. Abandon sectarian supremacy, acknowledge their limitation and authority in judging others, abstain from sectarian rhetoric, and feel free to worship along with fellow believers in virtually any place of worship whenever God alone is worshipped, regardless of its sectarian or denomination label and persuasion. It is a relief and a humbling experience to know that according to God’s Message in the Quran there are numerous paths by which they may lead one back to God’s way for those who strive in God’s cause. And that truly only God knows who is rightly guided or gone astray. Moreover, God in the Quran does not teach that salvation is due to the denominational or sectarian exclusivity of people or a group, but rather for those who have faith in God (i.e. who heed the message of God) and work righteousness.